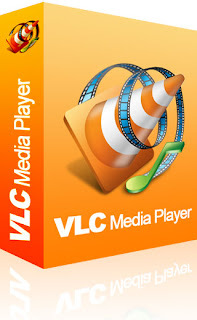 The Legend of all media players VLC will be coming with only one default skin which we all know and VLC player supports almost all types of audio and video formats which are not accessible by other players. In-spite of the having these great features it has some bugs like it will crash always when we played so unsupported files and keeps on asking to connect the support team which is a bit frustrating. So coming to the looks of VLC recently the VLC team has uploaded some skins in there official website to download and get a good visual experience. The skins are really cool to see and even responding well when installed in the latest VLC edition The most important thing is that the player is free and open source and also simple to use with extendable with powerful features. and the team has uploaded around 115 skins which are really awesome to look and all you have to do is to download the skins and copy them all to C:\Program Files\VideoLAN\VLC\skins and select the relevant skin by opening the player in real time in windows. and you can select each skin which you like or can download all at a time there. i have uploaded all skins so that it is available forever. If the link breaks in above VLC site you can download here. BRO…GRID is very tough to play with opponents racing…so need to SEARCH for 'ai' folders in the game directory…and select all and change them to an other name…save it…run game…now no opponents in game can move…f1 cars may move…but they'll stop at the turnings..! !reply bro..! !